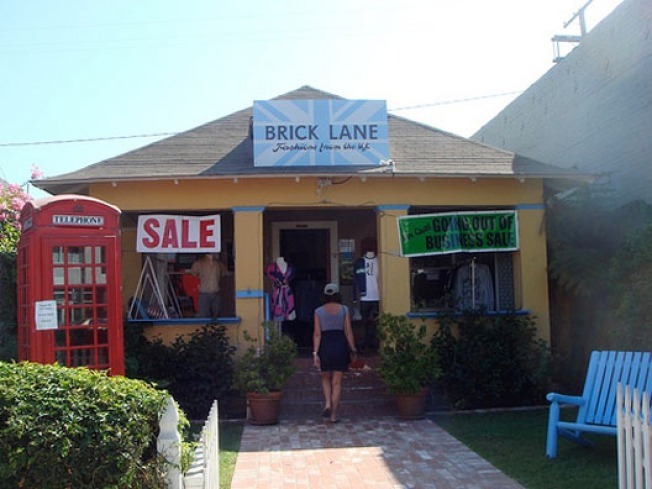 British designer-stocked Brick Lane is closing on Abbot Kinney. Yo! Venice reports on the shop's going-out-of-business sale, featuring merch, furniture and decor: "From now until September 28th, we have the opportunity to help a great store owner and ease the frustration of losing yet another small business to the ailing economy—stop in at Brick Lane and buy something!" For now, the online store is also shutting down, but possibly may be back in a couple months.